3.1 When you first join the AAA you will be required to complete a membership consent form. On this form we will ask for the following personal information; your name, address and post code, phone number, email address and signature. You will be required to tick a box to opt-in to receive communications from the AAA and asked which communication channels you are happy to be contacted through. If these boxes are left blank then you will not receive any information from the AAA. This may impact our ability to facilitate your membership of the AAA. 3.2 When you access the Website we may collect the following details; how long you spend on the Website, your IP address, general location, OS version, browser, landing page and ISP. Under some circumstances these data could be used to identify you. 3.3 Talk Space is provided by ProBoards. For information on what personal information they collect please refer to the ProBoards website. The AAA does not receive any personal information from ProBoards. When you access Talk Space your IP address will be visible to the moderators. We do not actively collect these data. 3.5 We may also ask you for personal information when you report a problem with the Website, Talk Space, about a member of the AAA, or a member of the Committee. This will be communicated with you at the time of collection and your consent sought. 3.6 If you provide a donation to the AAA, either for the general running of the AAA or to support the Observatory Restoration Project, we may hold your personal information to identify you for our records and for marketing purposes. You will be asked to complete a donation consent form. You will be asked to opt-in for your details to be used for marketing purposes. If the you do not opt-in your information will not be used for marketing purposes. No details will be held on anonymous donations, even if the source of the donation is known. 3.7 We may, from time to time, provide means to collect personal information at events held, or hosted, by the AAA. This information will consist of your name and email address, referred to from here on as the 'contact consent form'. 3.8 We may from time to time ask for permission to acquire and use images of you and your accompanying group members for publicity purposes. You will be asked for consent before the image is acquired, but only if the image can be used to identify you, such as a face is in profile or turned towards the image capture device. Consent will be in hard copy form, referred to from here on as the 'image consent form'. Images will not be taken when consent cannot be obtained by all subjects in the image field. For children under the age of 18, consent will be sought from the legal parent or guardian. Subjects that are sufficiently out of focus or in the background are not considered as subjects. Images maybe taken without consent where no subject in the acquired image could be identified. 3.9 On the Website there are several email addresses which can be used to contact the AAA, and a contact form. If you use this form, or send us an email, we will not store or share any of your personal data, apart for replying to your message. We will only contact you to respond to your specific enquiry. 3.10 The AAA will collect data on any BACS payments that you make. 3.11 The AAA may collect your name and phone number for competitions that we run. 3.12 The AAA will not ask for any sensitive personal information. 3.13 Verbal consent is not sufficient for the AAA to be able to contact you. 4.1.5 to comply with legal and regulatory requirements. 4.2 The AAA will only capture top level data obtained through the Website, such as first-time visits, returning visits, average daily visits and average unique visits. These data are provided to the AAA as weekly updates. 4.3 Talk Space is provided by ProBoards. For information on how they use your information please refer to the ProBoards website. By using Talk Space you agree to receive notifications as they are posted. 4.4 We may use information obtained from the Website or Talk Space in an anonymous way to track use of the Website and Talk Space. It is the policy of the AAA not use these data in such a way as to identify a subject. 4.6 When you report a problem we may share your information in order to resolve the issue. If we require additional information you will be informed. 4.7 We may use information you provide for marketing purposes, such as indicating sources of donations on the Website or media outlets, such as news articles. 4.8 Information obtained from contact consent forms will be used to contact you for the purpose stated on the form at the time of completion. 4.9 Images may be used for marketing purposes either on the Website, flyers or in local press and in line with your consent obtained at the time of acquiring the image. 4.10 Information obtained when you contact us through the Website will be used to provide you with a response to your specific request. 4.11 Information provided as part of a competition will only be used to contact you about that competition. 4.12 The AAA reserves the right to use personal data to name individuals that have contributed to the AAA, such as holding a Committee post, contributions to the Observatory Restoration Project, aiding with events held or hosted by the AAA, either on the Website, on the AAA social media channels or in local press. If you do not wish for your data to be used in this way please let us know in writing or by email. 5.1 Contents of the membership consent forms will be transposed to a password-protected electronic document and kept on the AAA's Dropbox folder, accessible only to the membership secretary and AAA secretary. 5.2 Contents of donation and contact consent forms will be transposed to a password protected electronic document and kept on the AAA's Dropbox folder, accessible by the AAA committee. 5.3 Consent received in the form of emails will be stored on the AAA Dropbox account. 5.5 The AAA does not store content from WhatsApp groups. Content will be stored on individual devices until the content history is cleared. 5.6 Whilst we have used our best efforts to ensure the security of your data, please be aware that we cannot guarantee the security of information transmitted over the Internet or of details used to access the Website or Talk Space. 5.7 Images will be transferred from the image capture device and stored on the AAA's Dropbox folder and within one week of the image being acquired. The original files will be deleted within 48 hours of transfer. 5.8 All hard copy forms will be kept in a locked container. 6.2 We will normally collect personal information from you only (i) where we have your consent to do so, (ii) where we need the personal information to provide you with a service, (iii) where we need the personal information to perform a contract with you. 6.3 If we ask you to provide personal information to comply with a legal requirement or to perform a contract with you, we will make this clear at the relevant time and advise you whether the provision of your personal information is mandatory or not. other partner organisations in furthering the AAA's aims. These suppliers' use of your personal data may be subject to their own privacy policies, which may be found on their websites, or available on request, and which we suggest you familiarise yourself with in the relevant circumstances set out above. 7.1.4 if we are under a duty to disclose or share your information to comply with any legal obligation, or to enforce our agreements; or to protect our rights, property, or safety, our users, or others. This includes exchanging information with authorities, other companies and organisations such as, but not limited to, criminal offences or for the purposes of fraud protection. 8.1 We retain personal information we collect from you where we have an ongoing legitimate need to do so (for example, to provide you information relating the AAA or to comply with applicable legal, tax or accounting requirements). 8.2 When we have no ongoing legitimate need to process your personal information, such as in point 8.1, we will either delete or anonymise it. 8.3 All electronic documents that become redundant will be deleted within 48 hours of being designated so. 8.4 Membership consent forms will be held as evidence of membership until such point that membership is not renewed, as per the AAA Constitution, namely, non-payment of membership fees up to the last day of the month of February of the renewal year, and held for a period not exceeding 6 months thereafter. 8.5 Emails will be retained for a period of three years before being deleted. 8.6 Contact consent forms will be held for a period of two years before being destroyed. 8.7 Donation consent forms and information relating to marketing purposes will be held for two years, or until the project under which the information was provided for is complete, whichever is longer. 8.8 Electronic information transposed from hard copy consent forms, but not those from membership, will be deleted after two years. 8.9 Images requiring consent and not used for marketing purposes will be kept for a period of three years before being deleted. Images used for marketing purposes will be kept until such time that they are deemed redundant, at which point the will be kept for a period of one year before being deleted. 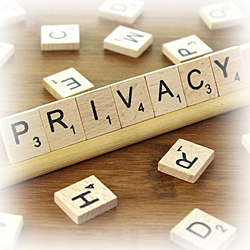 8.10 Anonymised tracking data obtained through the Website will be kept until no longer required. 8.11 Data collected as part of a competition will be deleted shortly after the competition, on certainly no later than 3 months. 9.1.2 by email (i) people in positions of influence in the Borough of Bury St Edmunds, (ii) businesses, schools, colleges, universities and organisations in Bury St Edmunds and the surrounding area, out to a distance of 20 miles, (iii) government officials with posts relating to Heritage, Culture or Community, (iv) UK organisations with a focus on Heritage, Culture, Community or Astronomy, (v) third parties the AAA has had legitimate dealings with. 9.2 At the time of initial contact individuals will be given an option to stop receiving additional communications from the AAA. 10.1.1 You have the right to know of any changes to the way we process your data. 10.1.2 You can request to know what personal details are held by the AAA whenever you wish. Please allow sufficient time for your request to be processed, but we will aim to answer every email as promptly as possible and within one calendar month of the request being made. 10.1.3 If your personal data being held is incorrect you can request for it to be amended. 10.1.4 You can object to processing of your personal information at any time. 10.1.5 You can withdraw your consent to have your personal data processed at any time. Withdrawing your consent will not affect the lawfulness of any processing we conducted prior to your withdrawal, nor will it affect processing of your personal information conducted in reliance on lawful processing grounds other than consent. 10.1.6 If you have any privacy-related questions or unresolved problems, you may contact us using the email address in Section 15. 10.1.7 You have the right to be forgotten. On receiving a request to be forgotten all information held on you will be deleted. We will aim to do this within one week of receiving the request. You will no longer receive any information from the AAA. If you continue to use the WhatsApp group after this request has been made, this is at your liability. Any data required to support any legal requirements will be anonymised. 10.1.8 You have the right to complain to a data protection authority about our collection and use of your personal information. For more information, please contact your local data protection authority. 10.1.9 The Website may, from time to time, contain links to and from the websites of third parties. If you follow a link to any of these websites, please note that these websites may have their own privacy policies. Please check these policies before you submit any personal information to these websites. 10.1.10 The AAA does not use any automated processing of personal data. 11.1 We strongly believe in protecting the privacy of children. In line with this belief, the only information we will collect on any child under the age of 16 is their first and last name. 11.2 In addition to a membership form, children between the ages of 16 and 18 who wish to attend unaccompanied will need to have a permission statement form completed by their legal parent or guardian. This form will be treated as per their membership form, and in accordance with this Policy. 11.3 For more information on child protection please see our Child Protection Policy on the Website. 12.2 For more information about cookies placed on your computer refer to the ProBoards website. 13.1 We may from time to time conduct internal research on our members. This may include membership category, gender, use of Talk Space, attendance at meetings. This will be anonymised at point to entry into a suitable processing form, such as an excel sheet and stored on the AAA's Dropbox account.